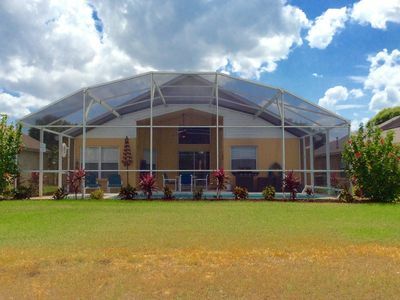 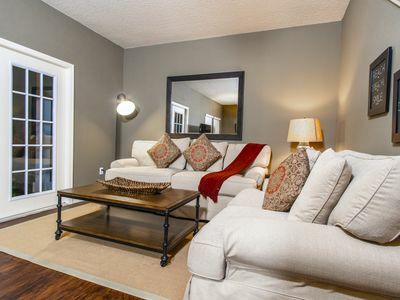 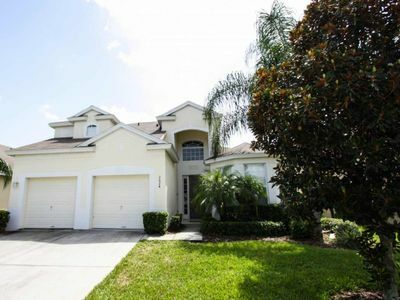 Fully furnished vacation home located in the quiet resort community of Sunset Lakes. 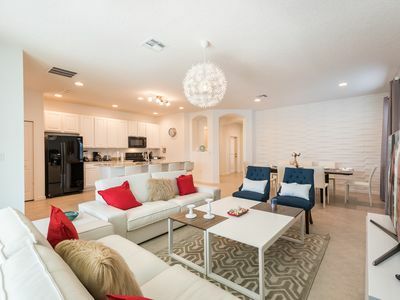 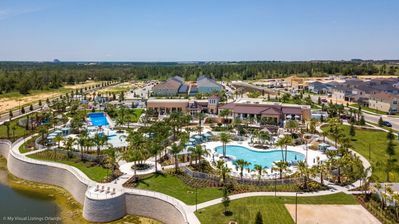 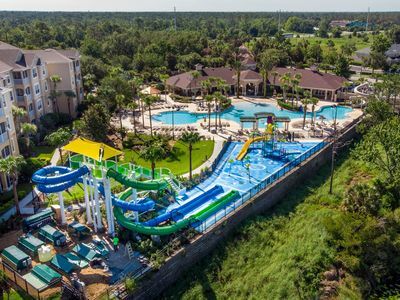 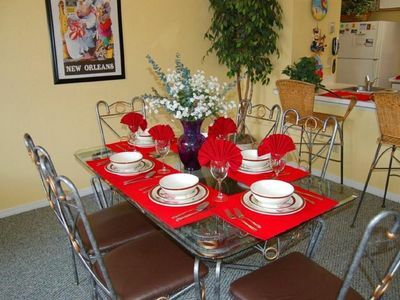 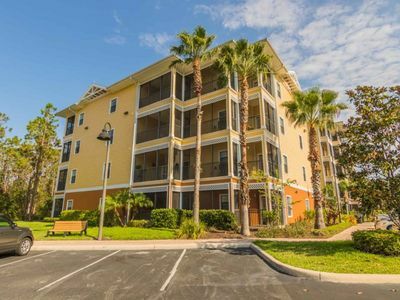 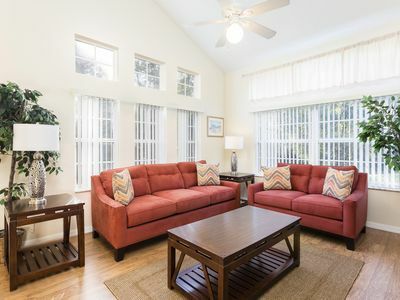 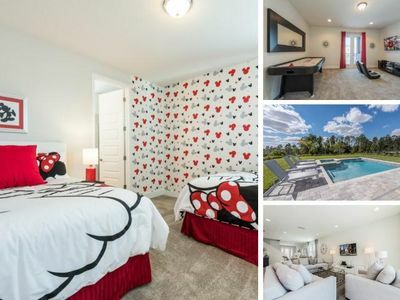 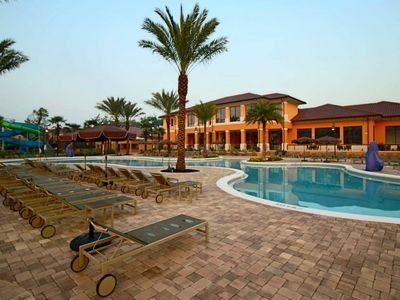 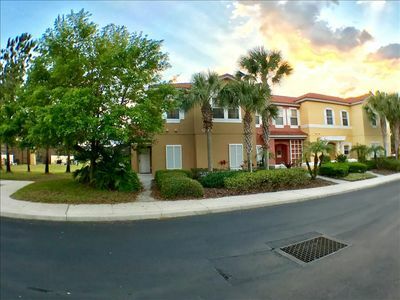 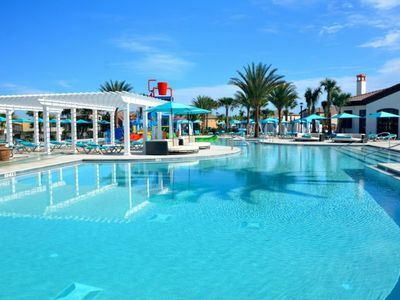 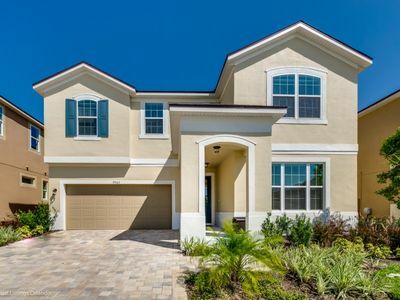 Located 10 minutes from Disney World and about 25 minutes from Universal and SeaWorld. 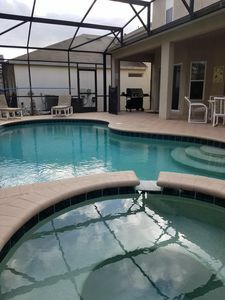 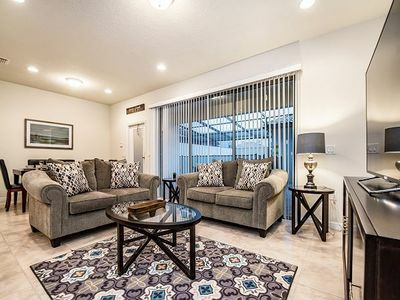 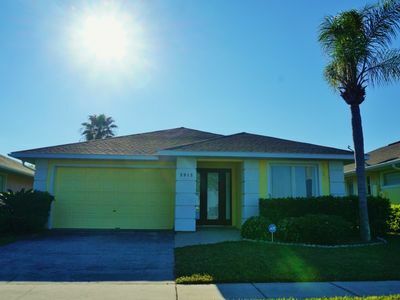 This home is a ground floor unit with handicap friendly features such as entry ramps into the doorways, wide hallways, walk-in shower without a lip (roll-in), and a private pool with a hoist to lower into the water. 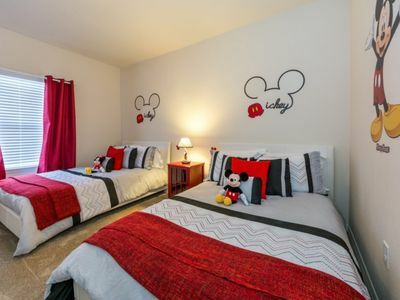 The rental includes all bed linens, towels, and kitchenware. 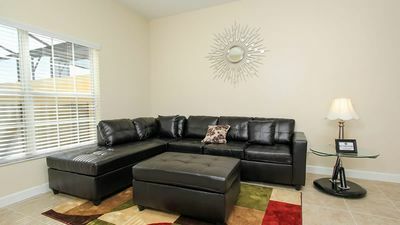 We offer free WiFi, cable TV and national telephone calls. 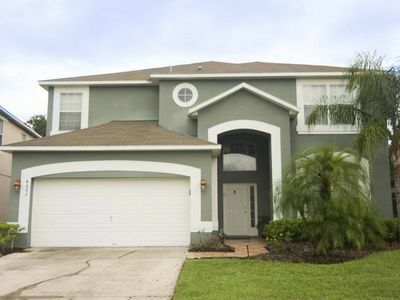 The home has a view of the lake from the front of the house and the garage has been converted into a game room. 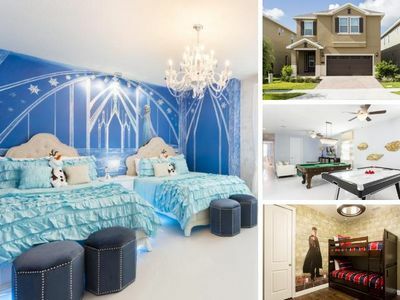 Bedding: 1 King, 1 Queen, 2 Twin, and two bunk beds.